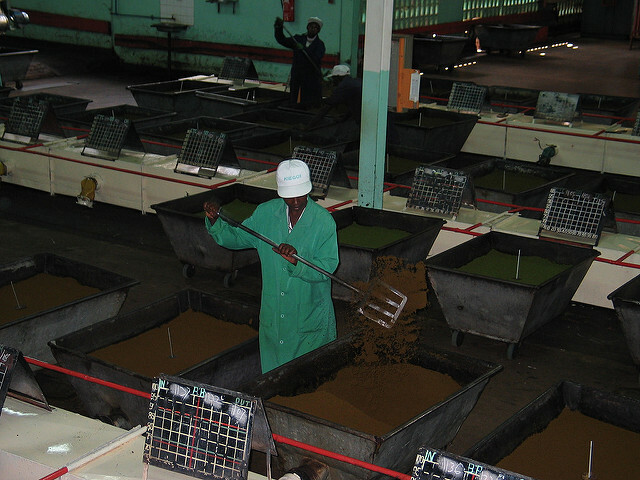 Home > Blog > A New Fuel Source Can Power Kenya’s Industries While Saving Forests. So Why Isn’t it Taking Off? Kenya’s forests are the country’s lifeblood. But they’re also its fuel source. Firewood is the main source for powering industries and cooking meals. With demand for energy increasing, forests are feeling the strain—the country has lost more than 9 percent of its trees over the last 18 years. But a handful of entrepreneurs are working to help power Kenya without contributing to deforestation. Biomass briquettes, made by compacting dry organic waste like sawdust and sugarcane stalks into solid blocks, have a high calorific value: Consumers can generate the heat they need with smaller amounts of briquettes than firewood. And better yet, briquettes don’t require cutting pristine forests. Kenyan entrepreneurs from all walks of life are starting up biomass briquette companies, including three incubated at the Kenya Climate Innovation Center. Festus Ngugi, a sprightly 58-year old retired government executive, founded Kings BioFuel by putting his “retirement eggs in one basket.” Kenneth Kamau, a practicing advocate of the Kenyan High Court and author of a crime thriller, has invested his earnings into founding Olkaria Bio. Jane Lenny returned from Dubai, where she worked in a media production house, to start LeJan Energy from her courtyard, even as she was nursing her six-month-old baby. Kamau was drawn into the business because he was inspired by his father’s participation in the Green Belt Movement, led by the late Nobel Laureate Wangari Maathai. “Why chop, chop, chop?” Kamau is fond of saying. On the other hand, Ngugi and Lenny were drawn to the business opportunity before they realized that it could help solve an environmental problem. Tea factories and schools have historically been two of Kenya’s biggest institutional firewood users. They are starting to shift to briquettes, thanks in part to the emergence of clean energy entrepreneurs. Kenya is one of the world’s largest exporters of black tea, with the trade accounting for 26 percent of national export earnings. 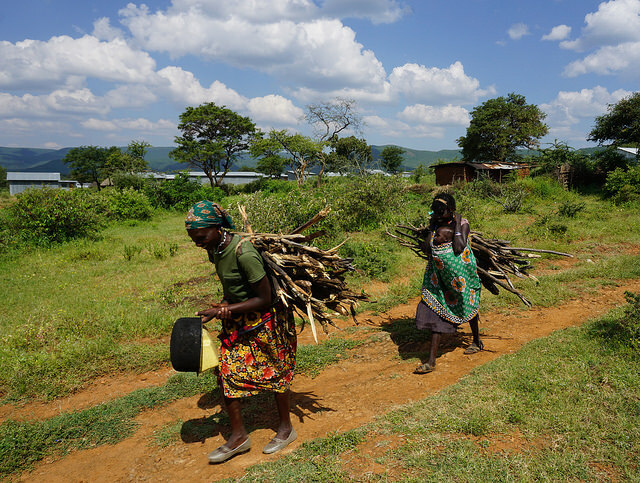 Kenya’s tea factories often burn firewood to dry and process tea. A typical tea factory can consume up to 60,000 trees in a year. Kenyan educational institutions use firewood to cook meals. Each of the country’s roughly 20,000 schools may be responsible for the clearing of 56 acres of forest every year, according to estimates by Nature Kenya. Tea companies and schools are switching from firewood to briquettes not only for environmental reasons. Using briquettes is cheaper because a smaller quantity is needed. Briquettes are flying off the shelves—so much so that entrepreneurs are struggling to keep up. On one summer day, Ngugi received an order of 100 tons of briquettes, but could only supply 30 because he did not have enough stock of dry raw material that he could process. Kamau said he sometimes does not pick up the phone because he is embarrassed to tell potential customers that he does not have enough stock. Lenny said she has enquiries for close to 5,000 tons per month that she cannot fulfill. 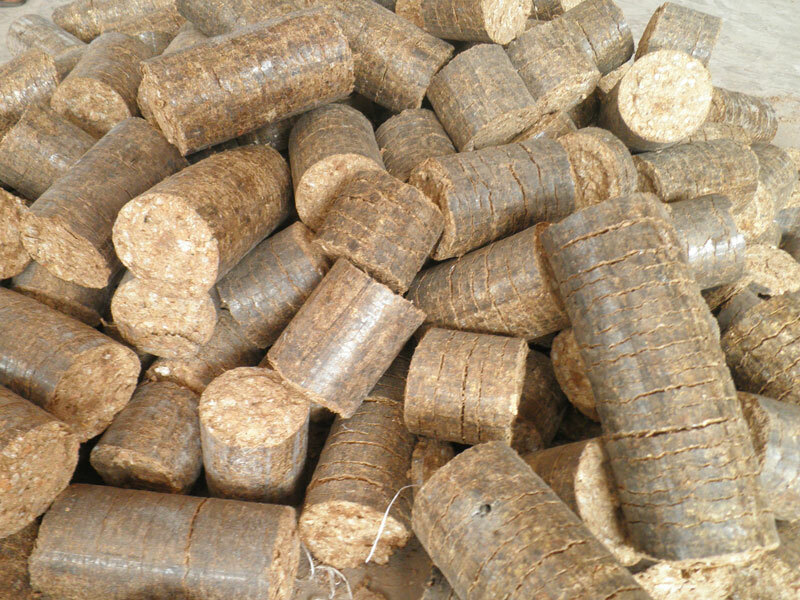 Briquettes are mainly made of sawdust procured from licensed timber factories, which produce so much excess material that they dispose of it within forests after they have run out of space. Bagasse, the residue left after sugarcane stalks have been processed, is another source. Kamau says there is so much excess bagasse at one sugarcane factory he works with that he can pick up only one-tenth of it. There is enough customer demand and more than enough raw material. Yet, Kamau’s, Ngugi’s and Lenny’s briquette-manufacturing plants run far below capacity. Ngugi and Lenny have one briquetting machine each, which they can never run to full capacity as they don’t have a dryer, so instead they must spread out the waste on the ground and let it air-dry for five days. Kamau has a larger facility with two dryers, but he cannot run both machines at once because the electric utility’s transformer does not have sufficient capacity to supply the plant. All three entrepreneurs are trying to raise money to invest in their production capacity. Kamau will have to pay Kenya Power, the national utility, to augment the transformer capacity and lay additional power cables. Ngugi and Lenny are each trying to buy a dryer and an additional briquetting machine. The output of one dryer can feed two machines, but the cost of a dryer is nearly four times that of a briquetting machine. All of them say they need their own trailers, as rented transport vehicles are expensive and unreliable. They estimate that they each need about 10 million Kenyan shillings ($100,000) to streamline production. Raising even these relatively small amounts of money is hard, though. Kamau said that going to local Kenyan banks is a “waste of time.” Ngugi previously obtained a loan from Kenya’s IDB Capital Bank, but he must pay back his current loan in full before he gets a fresh one. These problems are hardly unsolvable. If the briquette-making equipment could have been leased or rented, the entrepreneurs could use them without having to take a loan. Impact investors have poured money into the Pay-As-You-Go solar industry, but have largely bypassed the biomass sector. Raising awareness of this emerging waste-to-energy opportunity could bring more funding. These Kenyan entrepreneurs could also share their production equipment and pool their working capital. Entrepreneurs often come together when they are facing market challenges that they cannot solve individually. We’ll need innovative and audacious solutions to turn biomass briquettes into big business. 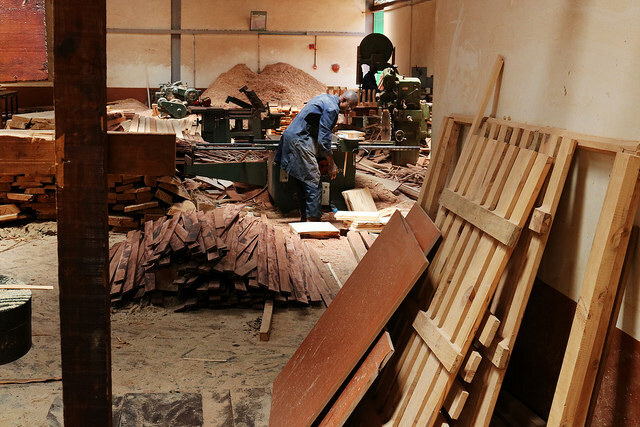 Kenya’s forests are depending on the success of its clean energy entrepreneurs.